Indoor Goals is available to rent for your event. 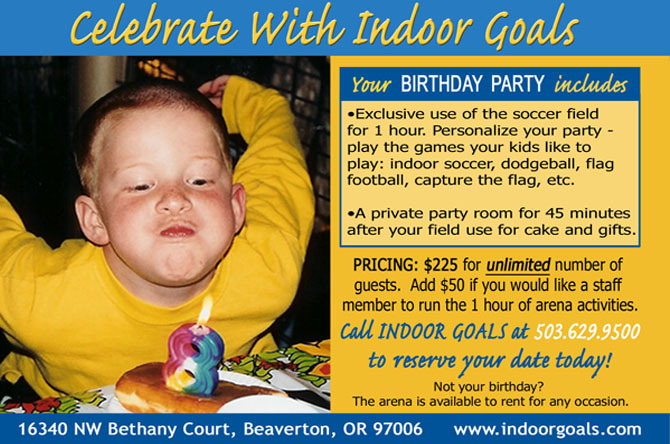 Whether it's a team practice, corporate event, or for a party, Indoor Goals is an affordable space for your needs. Indoor Goals is the Westside’s PREMIER Indoor Baseball and Softball Practice Facility. Indoor Goals is large enough, with 14,400 square feet of field space, to allow multiple teams to practice at once which makes practice at Indoor Goals extremely cost effective. 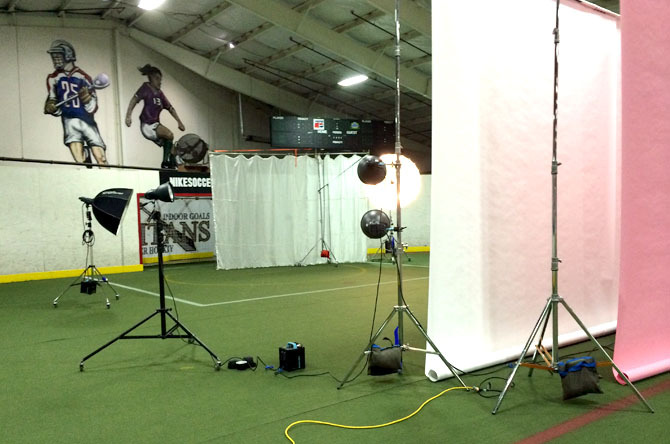 Indoor Goals is available to rent for your baseball or softball practice. Whether it's a team practice, tryouts, or a place to warm up before a local tournament, Indoor Goals is an affordable space for your needs. We are currently booking rentals for the Winter/Spring 2019 season. Consider hosting a clinic. Winter Break clinics are a great way to raise money for your league or fund your practice times! Please email meg@indoorgoals.com for availability. Deposit required to reserve arena time. The deposit is nonrefundable if you cancel within 48 hours of your reserved time. If your rental is more than 1 hr total field time, your deposit is nonrefundable if you cancel within 2 weeks prior to the reserved time. Click here for a list of equipment for teams to use. Click here for a brochure showing field setup. We get it. Your kid has a lot of friends. School friends, neighborhood friends, team mates, not to mention cousins! Your guest list gets big in a hurry. Not to worry - we have a flat rate for birthday parties! So welcome the tag-alongs, and host a great party at Indoor Goals! Your BIRTHDAY PARTY includes: Exclusive use of the soccer field for one hour. Personalize your party - play the games your kids like to play: indoor soccer, dodge ball, flag football, capture the flag, etc. Your party also includes a private party room for 45 minutes after your field use for cake and gifts. Pricing: $200 for unlimited number of guests. Add $40 if you would like a staff member to run the 1 hour of arena activities. Call us to reserve your date today! A nonrefunable deposit of $100, ($140 if requesting a staff member) is required to reserve your party time. If requesting a staff person, a minimum of 48 hours notice is required if you want to cancel the staff person. Don't forget to bring the following items, if needed: whatever you'd like to serve and serving pieces (ie - plates, napkins, forks, cake, drinks, candles, matches). Per our OLCC license, no outside alcohol may be brought into the arena. 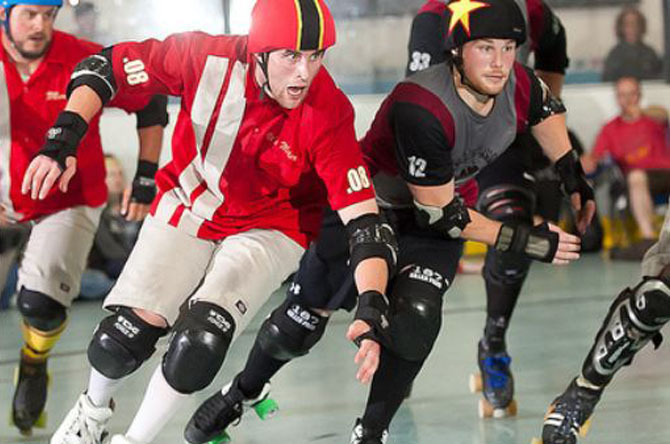 Indoor Goals is a proven roller derby bout venue. We've hosted multiple events with enormous success. Our venue makes for an intimate bout as spectators not only fill the bleachers, they line the floor. Indoor Goals also has concessions and a great craft beer menu to make the experience that much more enjoyable. Indoor Goals is available to rent on an hourly basis for your event. Give us a call for availability. 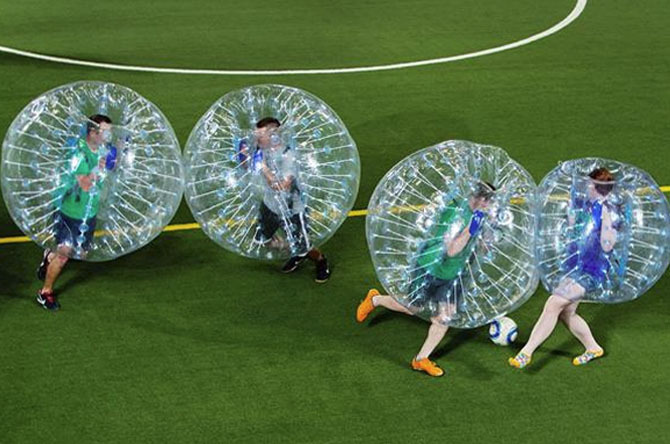 *We don't supply bubbles for bubble soccer.